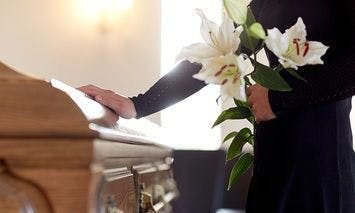 Have flowers delivered to Peaceful Rest Funeral Home in Dallas with express delivery from Bice's Florist. Our selection of fresh-cut floral funeral arrangements includes casket flowers, standing easel sprays, floral wreaths and hearts, and other designs meant to help you express your condolences, sympathy and love. We also carry a variety of sympathy flowers to help comfort the bereaved in their time of loss. Browse our selection of sympathy flowers and funeral flowers for the home, for the service and for memorial services online. Or, feel free to call us directly for custom orders crafted from your loved one's favorite flowers.